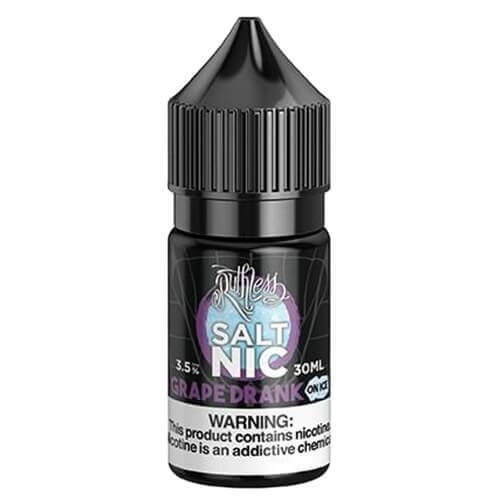 Ruthless Grape Drank on Ice Salt Nic e-liquid is like vaping an icy cold glass of grape soda while eating your favorite grape candy. Grape Drank on Ice by Ruthless is a perennial e-liquid favorite that withstands the test of time because it is a full flavored premium vapor that continues to please the most persnickety of palates. Pod mod vapers can now enjoy this popular candied fruit blend in a high nicotine e juice formulated especially low wattage vaping.